8x8, Inc. Named to Forbes 2013 List of 100 Best Small Companies in America | 8x8, Inc.
8x8 makes Forbes Top 25 list. Forbes recently placed 8x8 in the top 25 best small companies in the US. Find out why companies like Forbes are taking notice. 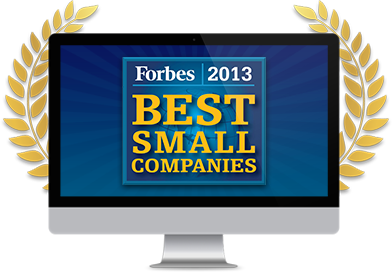 8x8, Inc. has been named to Forbes Magazine’s “Americas Best Small Companies” list for 2013, ranked No. 23 of the 100 companies that made the list. Additionally, 8x8 ranked No. 10 on the Forbes list of 20 Fast Growing Tech Stars. 8x8 was also named by Forbes as a top stock pick in this article, Handicapping America’s Best Stocks. The Forbes 35th annual list of America’s Best Small Companies ranks the top 100 public companies with under $1 billion in annual revenue based on return on equity, sales growth and earnings growth over the past year, as well as the past five years. Stock performance during the last 12 months versus each company’s peer group was also factored in with the average company stock price rising 32%. 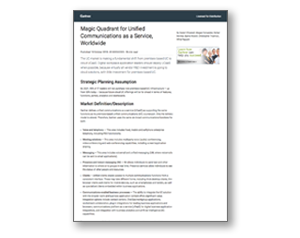 8x8’s integrated business service offerings enable companies and employees to collaborate effectively and efficiently anytime, anywhere. From hosted VoIP and contact Centre service to unified communications and virtual desktops, 8x8 services are technologically advanced, easy to use and less expensive than traditional on-premise solutions. The complete list of America’s Best Small Companies was featured in the Oct. 28, 2013 issue of Forbes and is available online at www.forbes.com/best-small-companies/list.